NJ Lawyer Explains How Chapter 13 BK Helps Avoid Foreclosure Chapter 13 Bankruptcy can often help a family avoid foreclosure and save their home. 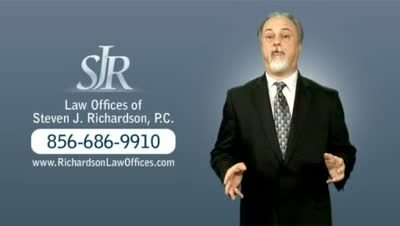 New Jersey attorney Steve Richardson tells you how this can be done! There is no doubt that we are in a mortgage foreclosure crisis in this country, which is certainly being felt in New Jersey. The courts, therefore, have set up a mediation system in an effort to try and keep people in their homes, and provide several resources for the prevention of same, including the answers to Frequently Asked Questions (FAQs) on foreclosure. Bear in mind that this program is for a foreclosure on a principal residence; not an investment property or vacation home. If you have been served with a foreclosure complaint, or are even on the eve of a sheriff’s sale, you can still request a mediation. Certainly the sooner you do it the better, as the hearings usually take place about 45 days after the homeowner’s request. If you are up against a sheriff sale, you are entitled to two (2) two week adjournments in order to gain time. After that, you must appear in front of a judge in your county to request an emergency stay. These stays are automatically given if there is a pending mediation, so be sure to request it first and get confirmation of receipt from the state. What Is the Mediation Procedure? Once the mediation request is processed, then a hearing is scheduled to be held in your county courthouse. If the date scheduled presents a problem, then it can be rescheduled, according to the court’s set procedures. The mortgage company comes to the table and, with the help of the mediator, tries to work out a settlement. You should be aware, though, that this program is not a “silver bullet.” Roughly a third of all mediations do not result in a settlement. Another 25% result in the homeowner still leaving his or her home. Many more result in provisional deals that are subject to the federal HAMP program. Forms are available from the state web site that will help you with the process, along with a self-help guide from New Jersey Legal Services. The point is, should you receive that foreclosure complaint, there are options available to you. Should you like to have my office assist you with the mediation request, please feel free to contact my office. Even if mediation does not help, there is always the possibility of a chapter 13 bankruptcy. This can enable you to reduce the burden of credit card bills, unpaid medical expenses and other debt so that you can take care of your back mortgage payment and keep your house, as long as you are able to continue to make payments. How do you know if filing for bankruptcy is the right choice? Talk to a lawyer with experience in these situations. I am an experienced New Jersey bankruptcy attorney. When you contact me for an initial consultation, I will help you take a look at the big picture to determine whether it is best to fight home foreclosure through bankruptcy or to allow the foreclosure to proceed. Filing for bankruptcy will stop home foreclosure and halt the sheriff's sale, but it will not necessarily make it possible for you to afford to continue to pay your mortgage. In some cases, it may do little more than buy you some time. These are hard times. My clients face hard choices. You should not have to go through this kind of financial crisis alone. From my office in Woodbury, I have helped countless clients in Gloucester County and Camden County obtain real relief from overwhelming debt while keeping their homes. There is hope. Call me today at 856-432-4113 or send me an e-mail now to learn how I can help you through this difficult time.